The rebel Free Papua Movement has denied any role in the shooting of an Australian at a mine in Indonesia. Drew Grant was killed near the huge Freeport gold and copper mine, where he worked, in Papua province on Saturday. Autopsies have suggested evidence may have been altered, and police said that the bullets used were military issue. The revelations have raised doubts about official accusations that the separatist rebels were to blame for this and two other fatal shootings. A security guard was killed on Sunday, and the body of a policeman found on Monday, near the mine operated by an Indonesian subsidiary of the US company Freeport McMoran, in the Timika district of Papua. The Timika commander of the Free Papua Movement, Kelly Kwalik, told the Jakarta Globe newspaper that his fighters neither had the desire, nor the equipment, for the attacks. 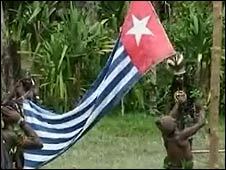 Yorris Raweyai, a Papuan lawmaker in the national parliament, dismissed claims that the separatist movement was responsible for the deaths. "We know the OPM [Free Papua Movement] has been labelled as a troublemaker in Papua for four decades. But we also know that they have no guns and fight for their struggle peacefully," he said. Mr Grant was shot dead by unknown attackers on Saturday while he was travelling in a Freeport vehicle at 5.30am in the morning. Freeport's Indonesian spokesman Mindo Pangaribuan said security had been tightened in the area after the incident, and that the mine's operations have not been disturbed. Police have confirmed that high-powered weapons issued to military and police were used in the shooting. Analysts have noted that Freeport is a lucrative posting for Indonesian security forces - they are paid by the mining company and also earn large amounts of money by charging money to local illegal miners. Some analysts have suggested that the military could loosen its powerful grip on the region following the re-election of President Susilo Bambang Yudhoyono. Abdul Munim Idris, the doctor who conducted the autopsy on Mr Grant's body, said that fragments of bullets were found in the body, but no whole bullets. Asked whether there was any evidence the body had been manipulated, he said: "It's possible," the radio station reported. Mr Grant's body has now been returned to Australia. Australian Federal Police are in Indonesia assisting in the investigation of Mr Grant's murder. Separatist sentiment in Papua has been focused in recent years on calls for a referendum - similar to that held in East Timor in 1999 - to allow Papuans to decide if their resource-rich region should stay in Indonesia. The former Dutch colony was absorbed into Indonesia in 1969 after a vote by selected elders widely seen as flawed. The weekend's shooting were the first fatal killings of Freeport employees since the killing of two American workers at the firm in 2002. The incident turned into a diplomatic row between Indonesia and the US, and eventually a Papuan separatist leader was convicted for the attack.